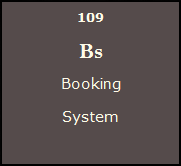 A booking engine is an application which help individuals to make reservations online. Booking engines are typically used to book flights, insurance, holiday packages and other services through the Internet. Booking engines are becoming increasingly popular with more customers relying on the internet to get quick access to a wide choice of hotels where they can plan their journey well in advance. MYP offers booking engine services where users can get all the details that they need, customize their stay, and plan their journey within a couple of clicks. A person could specify for example, the day of arrival, departure, the type of hotel they want, the budget that they have. Once these information are received the system will generate all the hotels that falls into this category. People do no longer need to physically move and contact hotels and flight agencies to get the information that they need. Booking engines is called to have a bigger role in society in the next years. Business owners will be able to have their product made available round the clock.